Thank you for your overwhelming support on North Texas Giving Day. You know KiDs Beach Club® is making a tremendous impact in our public schools and communities, but we cannot do that without your continued financial support and you came through in a big way on North Texas Giving Day. Your gift will go a long way to help us continue changing the culture in public schools. If you were unable to participate on North Texas Giving Day or schedule a gift during the 10-day window leading into the official giving-day event, please know you can always lend your support to KiDs Beach Club®. Simply click the "Make A Donation" button below or the "Donate" button in the upper right-hand corner of our website. We have secured matching dollars again this year. The first $10,000 given to KiDs Beach Club® on North Texas Giving Day was doubled thanks to a generous donor’s matching gift. All gifts given on North Texas Giving Day also were eligible for bonus funds through the Communities Foundation of Texas, which manages what has become the largest community-wide giving event in the world. We had some exciting events planned in conjunction with North Texas Giving Day this year. Thank you for following and engaging with our social media accounts on Facebook, Twitter and Instagram. We hope you were able take a minute to like, comment or share some of that amazing content with your friends throughout the day to tell them about the charity you’re supporting that is changing the culture in public schools and making an eternal impact in the lives of children. We had two KBC fundraisers on North Texas Giving Day. 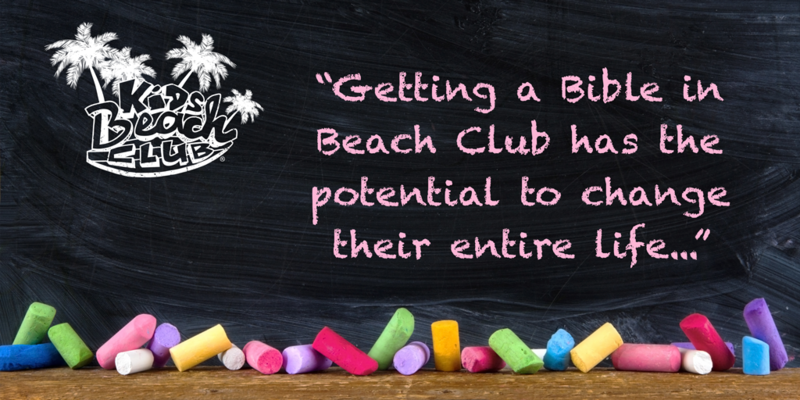 20% from all food purchases were donated to KiDs Beach Club®. 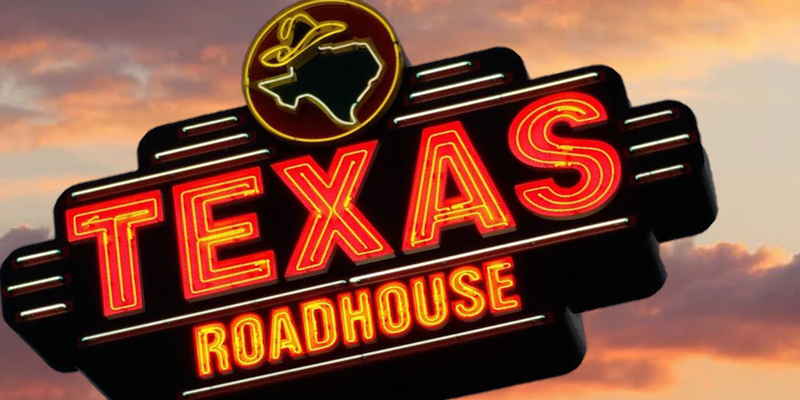 Thank you to these two North Texas locations for helping us raise funds to give kids Bibles. 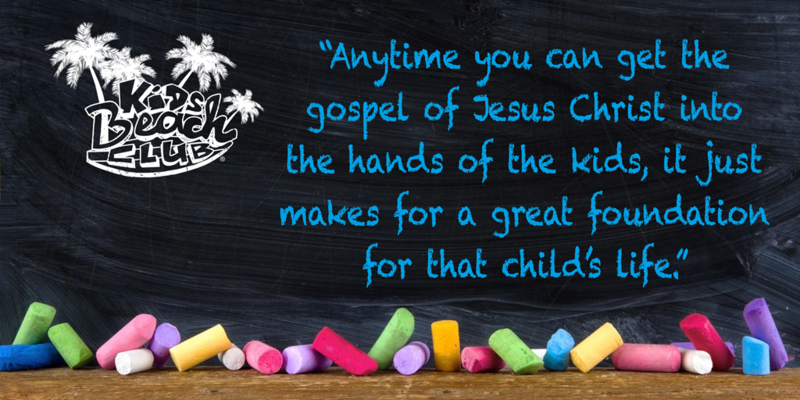 For the last 15 years, KiDs Beach Club® has been obedient to the mission the Lord instructed us to follow. That mission is to mobilize the church to go outside its walls to take the message of Jesus Christ into the community. Along the way, hundreds of churches and thousands of volunteers have joined us in this innovative ministry to accomplish the vision of providing every third through sixth grade boy and girl a Jesus experience within the culture of their public school by sharing the gospel and connecting kids to Christ while putting Bibles in their hands. To date, more than 94,000 children have been impacted by Beach Club with more than 8,300 accepting Jesus Christ as their Forever Friend inside their public elementary school! This ministry belongs to the Lord, who has abundantly blessed us by opening doors to nearly 200 public schools across 11 states this school year. One of the exciting byproducts of having Beach Clubs in schools year after year is seeing how God’s word is transforming the hearts of these students one by one, and collectively how this is changing the culture of their public school. Many principals have been excited to share with us how the behavior on their campuses has improved and relationships between students and their relationships with teachers have strengthened because of what they learn in Beach Club. We shared their comments with you in the days leading up to and during North Texas Giving Day. See more incredible testimonials on our Facebook page.